HEALTHY LIFESTYLE. 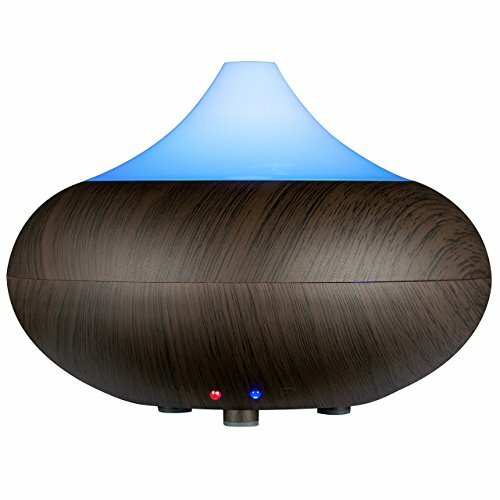 This diffuser could create a healthier environment with aromatic mist that relieves stress and fatigue from work. LONGER FRAGRANCE. Ultrasonic diffuser preserves micro-particles to allow essential oil ingredients to last longer. MULTIFUCTIONAL USE. Increase negative ions; helps to eliminate static electricity, and reduce computer radiation. SMOOTHING EXPERIENCE. Low energy use, no condensation, ideal for home / office / bedroom / living room / study. 7 BEAUTIFUL COLOR LAMP. With 7 soothing color LED light, you can set it on auto changing modes or steady on one color. Cozy lamp matches your mood, creating a relaxing, calm ambient.